When you sign a retainer agreement with your divorce attorney, you enter into a business relationship with him for the duration of your case. He’s legally obligated to represent your interests to the best of his ability and you’re usually obligated to cooperate with his suggestions and directions, tell him the truth and pay him on time. If you’re unhappy with the way he’s representing you, you can easily get out of the contract. Your lawyer can get out of it as well, but it’s usually more difficult for him to do so. If you owe your lawyer money, he’ll give you an opportunity to pay him before he drops your case. Divorce attorneys usually work on a retainer basis, especially in contested matters. This means you pay him a lump sum up front and he bills his time and expenses against that money. It might run out more quickly than he anticipated if your divorce is particularly contentious and requires a great deal of his time. He may ask you to make another down payment or begin billing you monthly. If you don’t pay, it’s conceivable your lawyer would not want to continue representing you for free. If you don’t get along with your attorney, he may suggest you find someone else. If your lawyer does not offer you a reason for bowing out, it’s probably due to a circumstance beyond your -- or his -- control. He may have discovered he has a conflict of interest, or there may be some other personal reason that prevents him from continuing to represent you. Almost all states require a divorce attorney to get the court’s permission before he can withdraw from a case. This is because it can put his client at a serious disadvantage, especially in the middle of a nasty divorce fight. Generally, your attorney will file a motion with the court, asking to be relieved as counsel. You usually have the right to attend the hearing and argue against his request if you want to. Ultimately, the judge will decide to let your attorney quit or order him to stay on. Depending on how far into the divorce process you are, the judge may not allow your attorney to quit. If you’ve got a trial scheduled in a relatively short period of time, it would be almost impossible for a new attorney to review your entire case file, familiarize himself with your case, and be ready to represent you adequately in court. If the judge does allow your lawyer to withdraw, he may postpone your trial date to give your new lawyer time to prepare. If this occurs, the situation can delay your divorce for several months. If your attorney has a conflict of interest or other problem, and his request to withdraw has nothing to do with you, the court will probably grant his request. In this case, your new attorney will probably request a postponement so he can bring himself up to speed with your case. Switching attorneys in the middle of your divorce can affect the success of your case. If you owe your attorney money, you might want to do anything possible to come up with more funds to keep him on. However, if the two of you just aren’t getting along, you might be better off letting him go and using the probable delay in the proceedings to find someone you can work with. If your divorce is a real battle, you probably will not want to attempt to represent yourself. 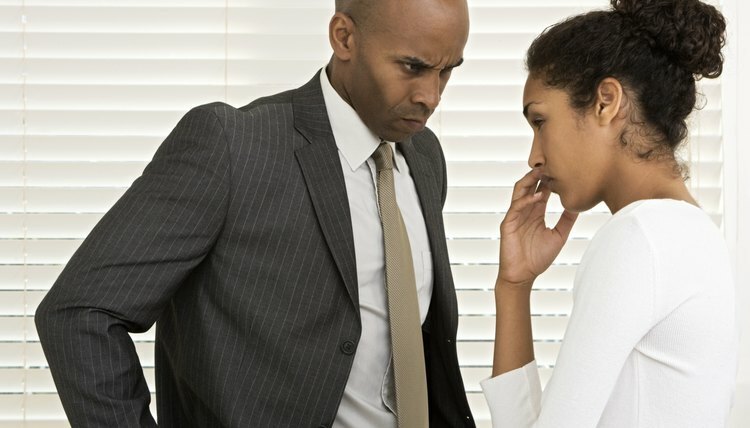 DadsDivorce.com: Can Your Divorce Lawyer Quit in the Middle of Your Case?